VALERIAN ROOT - Not everyone likes, or appreciates, the smell of Valerian Root, but many find its scent quite soothing. Interestingly enough some cats love the scent. 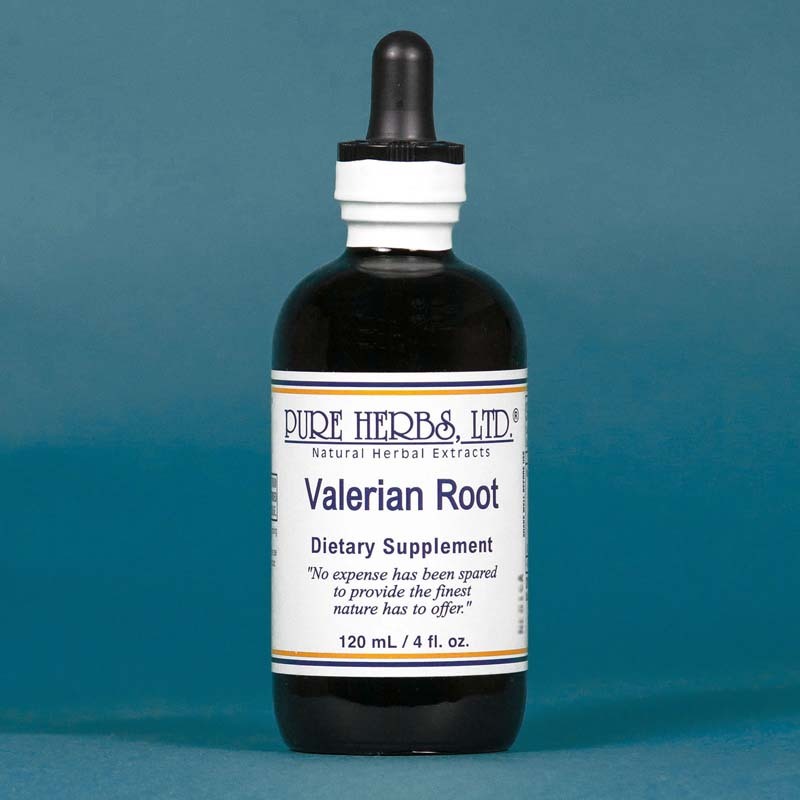 As an aid to sleep when you cannot, but must, Valerian Root finds its greatest service. When a person has gone for many nights without proper rest, 40 to 80 drops in a little juice can provide "blessed relief". Indeed, for nervous agitation, Valerian Root, with its gentle, proven source of absorbable vegetable calcium, can be taken on a regular basis during the day as it is also nonaddictive. Valerian Root does not produce side effects of nightmares, or worse, addiction, or stupor. Unlike the modern synthetic drug Valium, which was modeled on the scientific information gained by the investigation of Valerian Root, and can cause these unpleasant side effects. Valerian Root provides a release from tension. Because the heart is slowed and strengthened, there is also correction for heart palpitations (heart has too many beats and or is not rhythmic). While doing this, the normal functions of the stomach and intestines to move and secrete fluids are restored, thus providing a most comforting aid to proper digestion and elimination. If Valerian Root is your herb, then you do indeed have a friend. * DOSE:40 drops after meals, or 3 to 4 times per day, as needed. For sleeping, 40 to 80 drops, hour before bedtime.